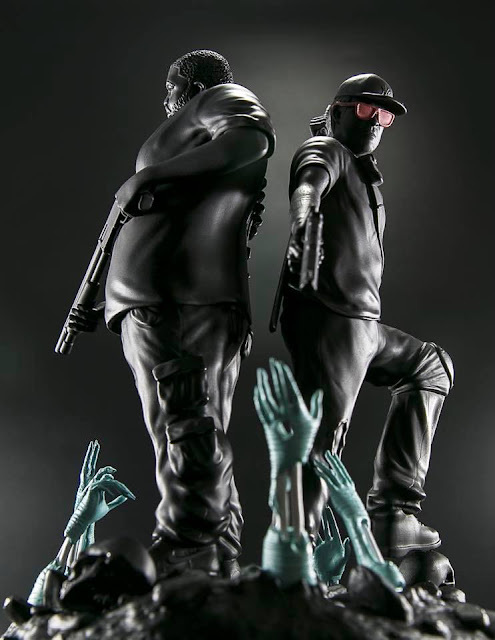 We have to give props to our NYCC boothmate Steven Cartoccio for the super fast sellout on the official Run the Jewels statue that he sculpted for them. A masterpiece which was immediately recognized by the Run the Jewels fans! Wonder what's next? Ask Steven yourself at our NYCC booth #780 where he will be from October 5-8. Italian based pop surreal painter Simona Candini created an exclusive collection of new work for PIQ of her favorite complex women that will hang from 09/29-10/12. 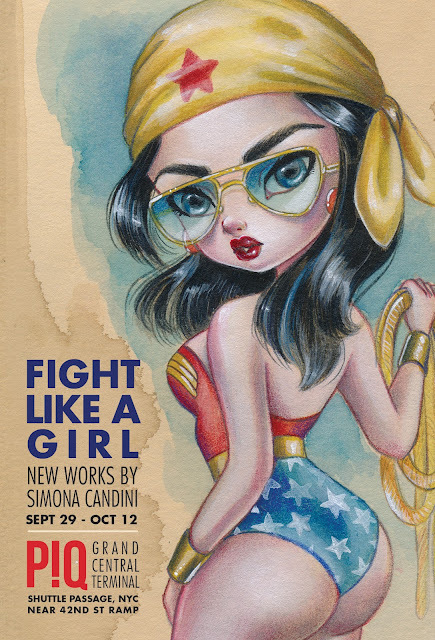 Applying her signature theme of the light vs. dark and meticulous painting style, Simona selected her favorite pop culture hero and villains to express the power of femininity. The show features ten original paintings, six oils and four mixed treatment watercolors. Harley Quinn, Wonder Woman, Danerys, and all of her ladies show confidence, conflict, and a fighting spirit in their large expressive eyes. 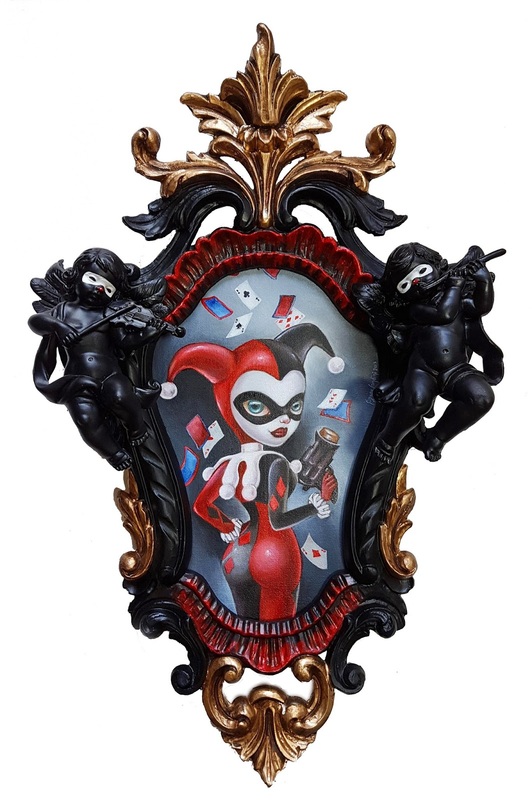 To compliment the details and energy of each canvas, Simona hand painted one-of-a-kind ornate frames that become part of the story of each subject. In addition to the original paintings there will be six more pop heroines in limited edition glicee canvas prints. The show opens 6:00 Friday Sept 29 at PIQ Grand Central Terminal and will continue through October 12. Preview the show at PIQgifts.com, where Simona Candini's paintings will be available for sale starting the 28th at 7:00pm. A graduate of the Academy Of Fine Arts University of Bologna, Simona Candini splits her time between Italy and USA working as a full time artist primarly within the pop surreal genre. 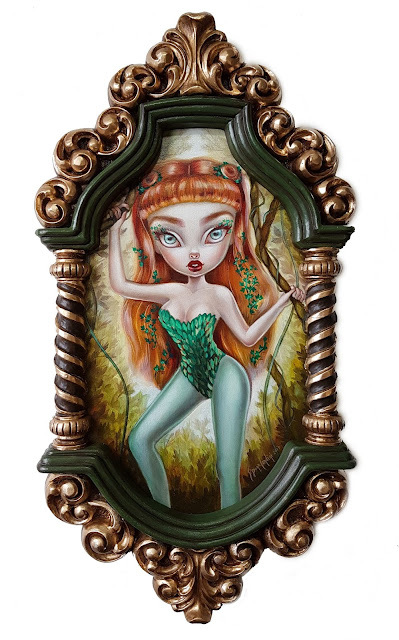 Her works, showcased in galleries around the globe, embody a beautiful yet sometimes dark world inhabited by big eyed girls and improbable creatures. With a stirring of emotions translated onto each new work of art, Simona brings her love of the old fairytales and childhood imaginings to us in a unique and poetic way. She is a traditional artist and enjoys using oils, watercolor, acrylics, graphite and pencils on paper, canvas and wood boards. 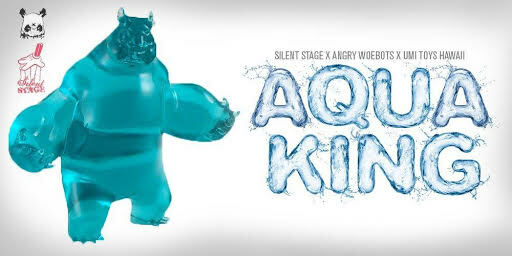 Made as an exclusive for the Amazing Hawaiʻi Comic Con, Umi Toys Hawai'i has announced the Aqua King colorway of the popular Panda King III by Silent Stage Gallery x Angry Woebots. 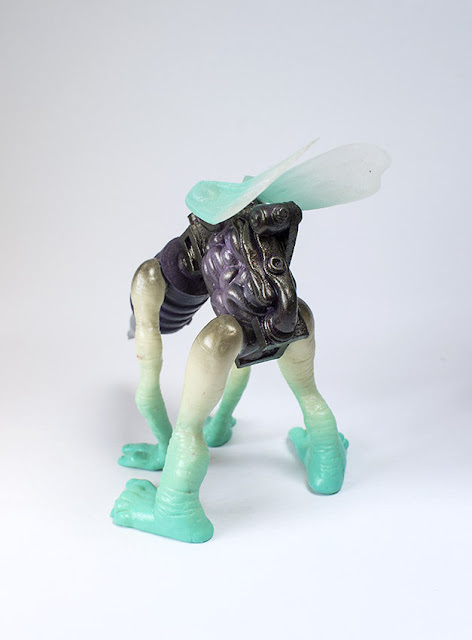 This mini resin figure, about 4" tall and 4" wide, is cast in translucent blue resin and limited to 100 pieces. Preorders for the figure start on Monday, September 25th at 3PM EST for $59.99. 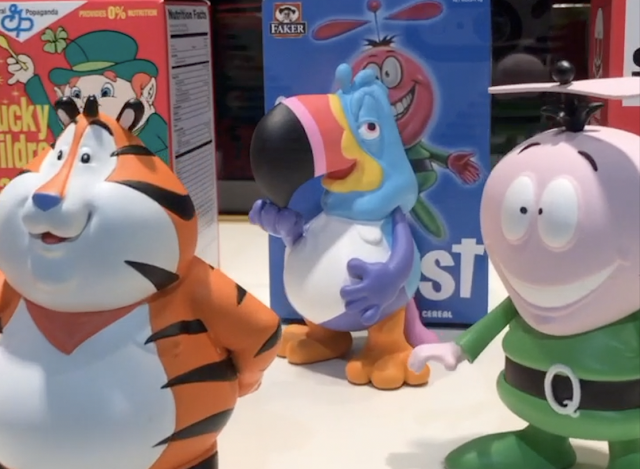 Who has original video footage of the upcoming Cereal Killers 3-inch vinyl mini figure series by Ron English? That's right, we do! We recorded this video in February. 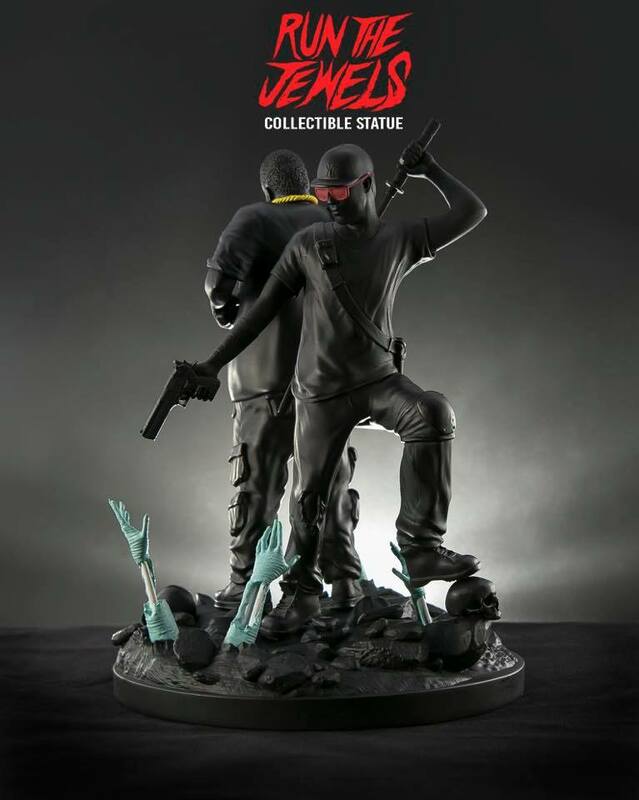 Please your preorder here for the full case / full set of 12. Shipping Late Oct / early Nov, $120 for the full set of 12! And we ship free within the US. BAM! 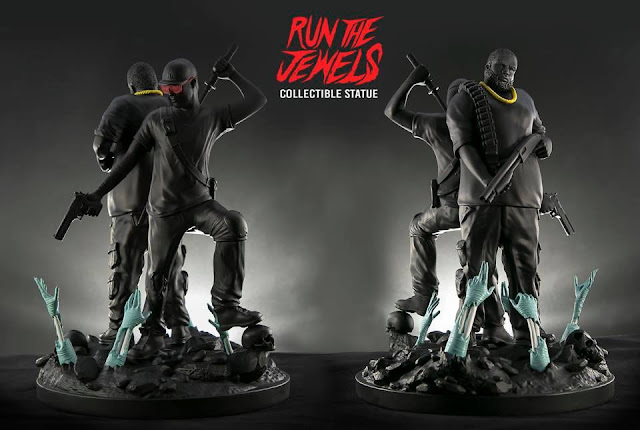 OK... this is pretty dope. Han Cholo has opened preorders for their Voltron Enamel Pin Set. 200 sets which they are bringing to NYCC. I guess you can preorder some? 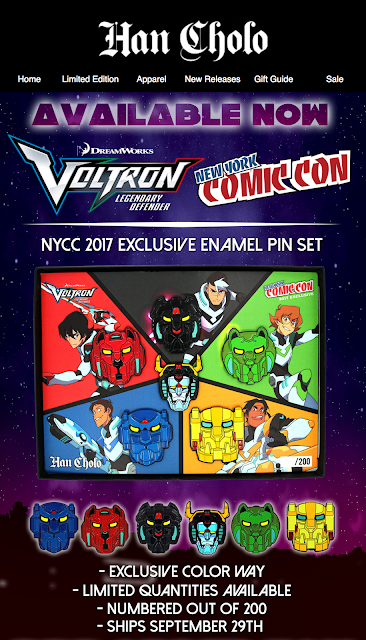 Click here to grab this pin set, and also check out their other Voltron licensed products. 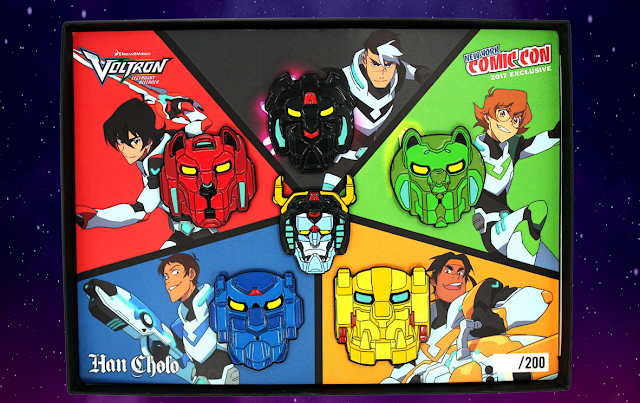 The giant Voltron lion head rings are insanely cool. 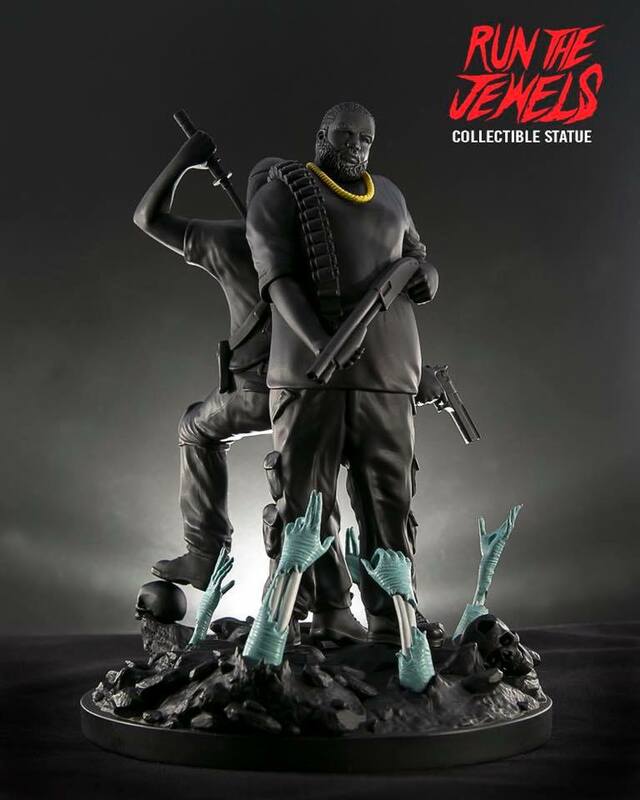 This company has come a LONG way and is putting out some amazing items!!! From the depths of the Gorilla Cave far far away comes a pin release too epic not to discuss! 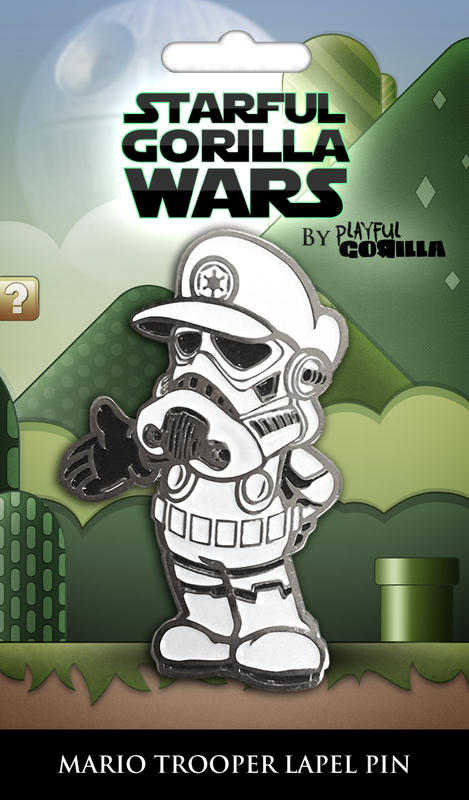 Playful Gorilla Presents the Mario Trooper Lapel Pin! Trying to bridge the gap of custom toys and pin drops this 2" tall soft enamel pin is based on Playful Gorilla's giant 26" custom released last year. 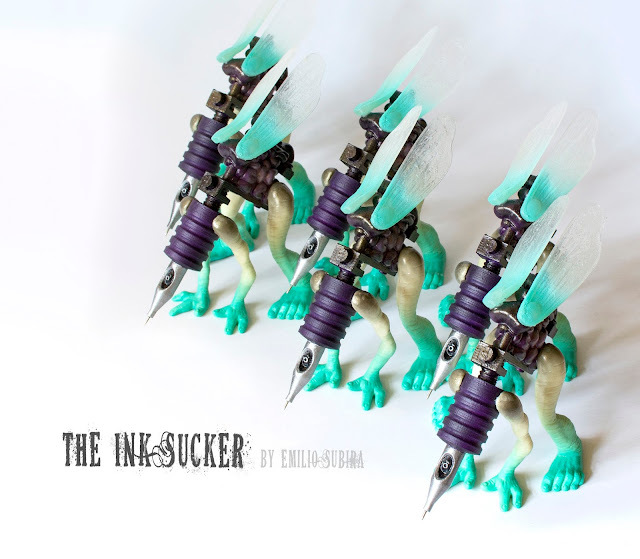 For this who followed his antics - the custom was for Clutter Magazines Hitsquad art show last summer. 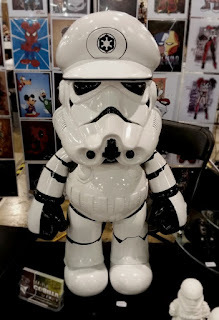 It made its rounds around the con circuit from D.C. To Ny and back to Philly. Leaning heavy on his illustrative work - the pin pays homage to that custom in a playful way. 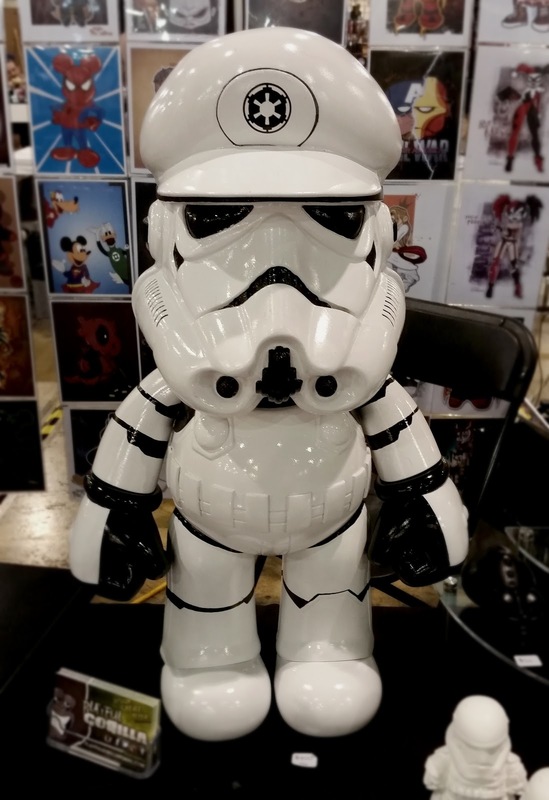 Combining his love for both the Starwars universe and that of the most famous plumbers, the Mario Trooper is a must add to your pin collection! The pins are produced and are on their way! But as we wait on final shipping from overseas, Playful Gorilla has opened up 25 preorder slots that comes with some extra goodies! Each pre-order will come with a matching 3" kiss cut sticker. Visit www.playfulgorilla.storenvy.com today to take full advantage of the pre-order freebies! 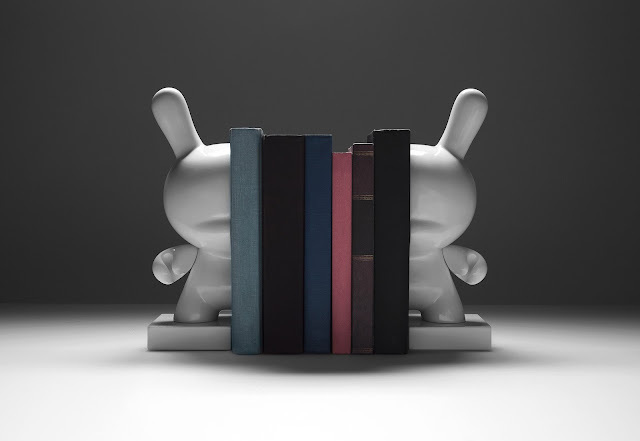 Bigshot Toyworks did a fantastic job sculpting these Dunny bookends for Kidrobot. 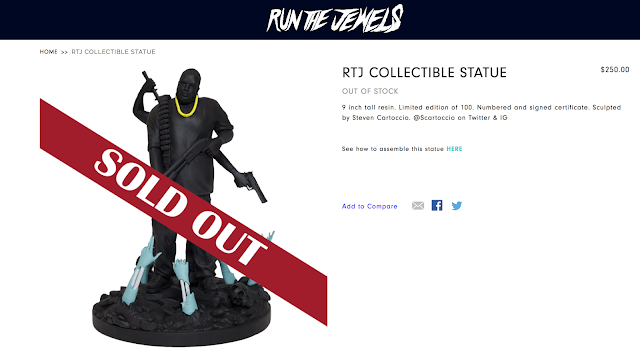 They're KR exclusives so don't look for them on our site - gotta grab them here! I like seeing KR expand into home goods. I honestly have very little extra shelf space for more toys, but there's plenty of opportunities for toy-related items to invade other areas of our home! This move makes sense, and they're just beautiful. No brainer. Dunny fans will be all over these. 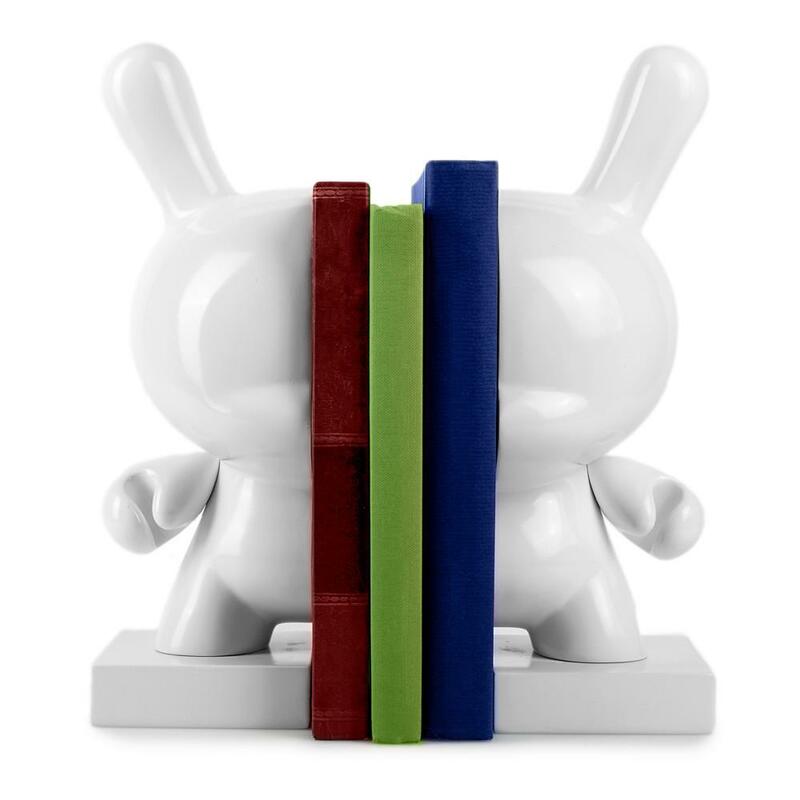 "Collect Your Home" with these decorative bookends featuring your favorite Kidrobot character, the DUNNY. 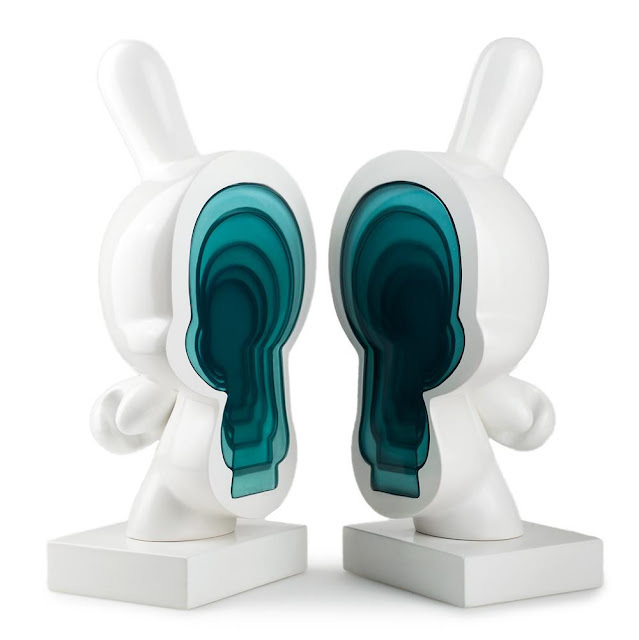 This set of resin 10-inch tall DUNNY bookends comes coated in a classy white gloss outer finish and feature a stepped clear resin design extending through the center of the pieces. This set will bring brilliance to any room in your house! Get these kidrobot.com exclusive bookends before they are gone. Emilio Subirá presents his newest figure "The Ink Sucker" bite machine edition. 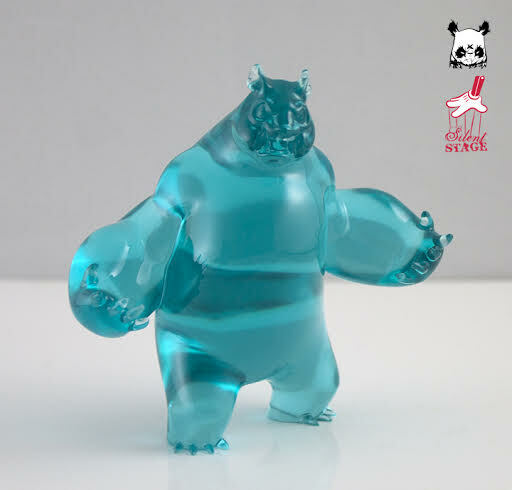 This is a Polyurethane resin and PLA figure limited to only six pieces. 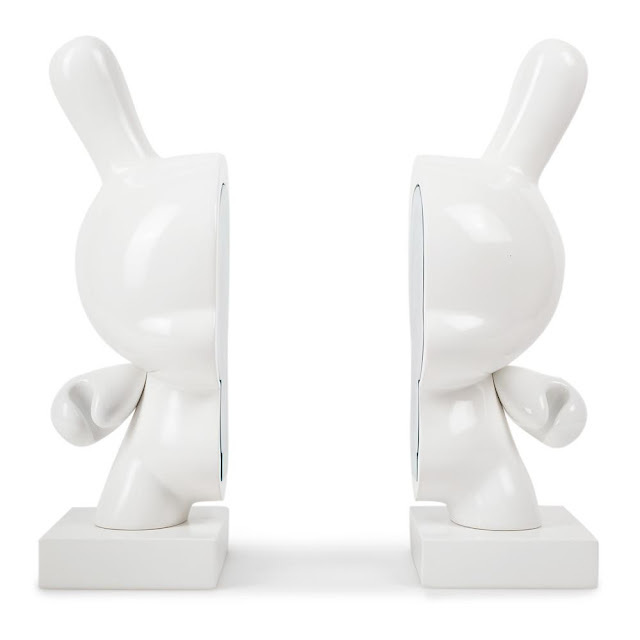 Each figure stands 13cm tall and 18cm long and is priced at $125. These are available now at Emilio Subirá's website. 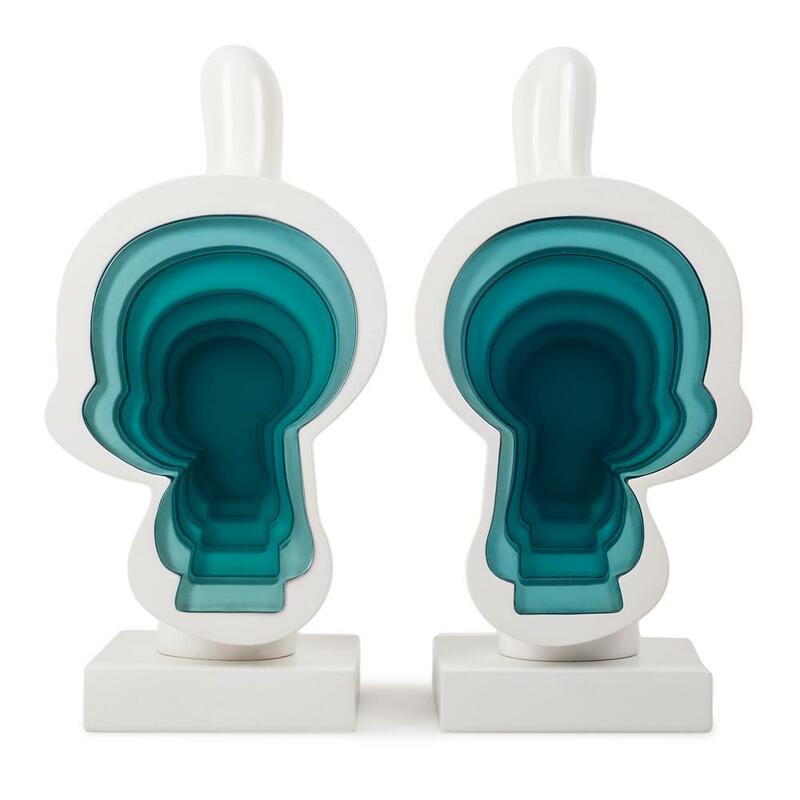 Taylored Curiosities has brought back a much sought after design in a new form. 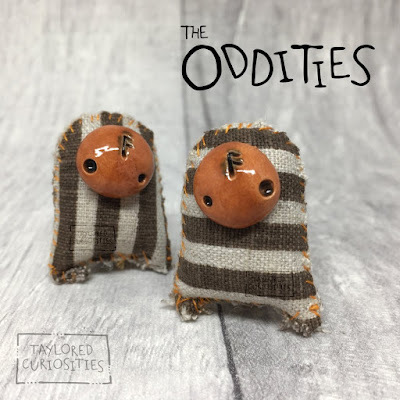 Just in time for the pumpkin spice craze that hits hard this time of year, it's the Pumpkin Spice Oddities. Each one of these Oddities is hand made from ceramic and textiles. And each features an 'Ansuz' Rune which symbolizes insight and inspiration. Get yours at Taylored Curiosities site now.